There's always a saying in Chinese, "就是爱美丽!" (I want to be pretty!). Yes, I presumed that all of us wants to look good, look pretty right? In order to acheive that, the very first step is to take good care of your skin! Am I right?! I'm sure all of us know that we needs/ wants to have nice, flawless, perfect skin, so having a good facial care routine really helps you to acheive it! Having good skin care routine is essential for our face, but what are the basic steps to have good skin care routine? Cleansing, Exfoliate, Moisturize, Apply sunscreen. And, we should never ever forget MASKING! Masking plays an important role in having good skin care routine! Masking at least once in a week can cleanse your face deep down, tighten your pores, or brighten and exfoliate your face! 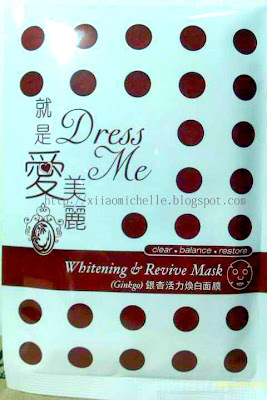 Dress Me was generous enough to sponsor me some of their best selling masks, for me to try and acheive better complexion! Million thanks to them for the products!! Allow me to do a brief introduction about their company. Dress Me facial mask series uses the finest and purest quality ingredients extracted from selected plant concentrates. Enhancing your skin care routine, Dress Me is the perfect companion that boosts your natural capabilities to good skin, tailored according to your skin’s needs. Dress Me facial masks are ideal for common skin problems; skins that are dehydrated, oily, pigmented, dull and lost of lustre. The hassle-free skin treatment takes only fifteen minutes to complete and is suitable for daily use. The effective and essential natural ingredients used in the masks are found in many skin care products. The ingredients are Natto, Trehalose, Helichrysum Agustigolium, Spriarea Ulmaria, Gigawhite, Ginkgo Biloba and Vitis Vinifera (Grape) Fruit. 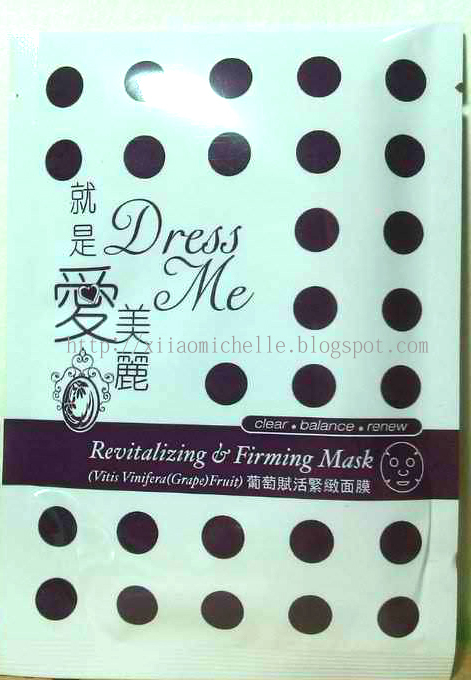 Dress Me facial masks do not just solve skin problems; they also maintain skin’s own natural restoration processes. Dress up in Dress Me for rejuvenated, healthy and flawless skin! These are some of the products that they had sponsored to me, that is suitable for my skin. The 3 products that tempts me a lot to try on! 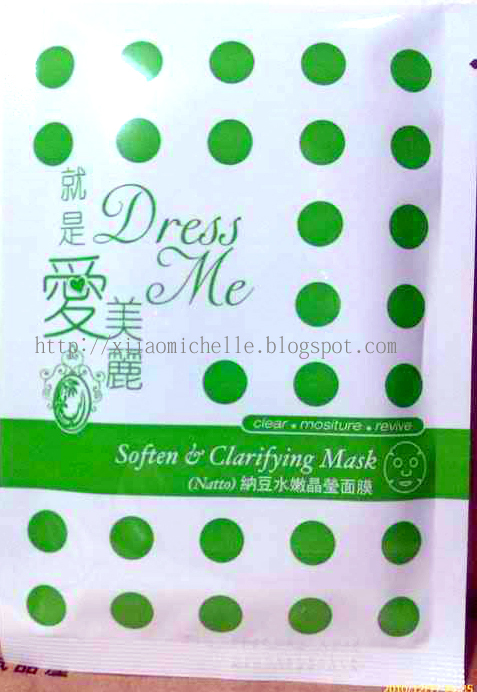 Dress Me Soften & Clarifying Mask contains Natto that facilitates skin exfoliation, brightens skin, enhances skin’s natural moisturizing capabilities and locks in moisture that will result to soft and supple skin. Y-PGA (Polyglutamic Acid) is found in Natto that reduces the appearance of fine lines and improves skin elasticity. It facilitates skin exfoliation while brightens the skin by promoting the clearance of stagnant melanin and enhances skin’s natural moisturizing capabilities. It also forms a moisturising film on skin to protect and retain the replenished skin’s own moisture balance. Arnica Montana Flower Extract has anti-inflammatory properties and enhances blood circulation while repairing damaged skin. It helps to tighten pores and prevent skin sensitivity. Citrus Medica Limonum (Lemon) Extract helps whitening and brightening the skin. Sodium Hyaluronate effectively binds to water and retains moisture within skin 500 times more. This increases moisture level in skin and boosts skin’s natural collagen formation while providing a barrier of protection for the skin. I got to admit that when I first came to know that one of the ingredient was Natto, my first reaction was like, What? Are you kidding me? Okay, I got to admit that I don't really like Natto (used to eat once and it taste so weird! ), but, if the product really can help my skin in any way, why not giving it a try? 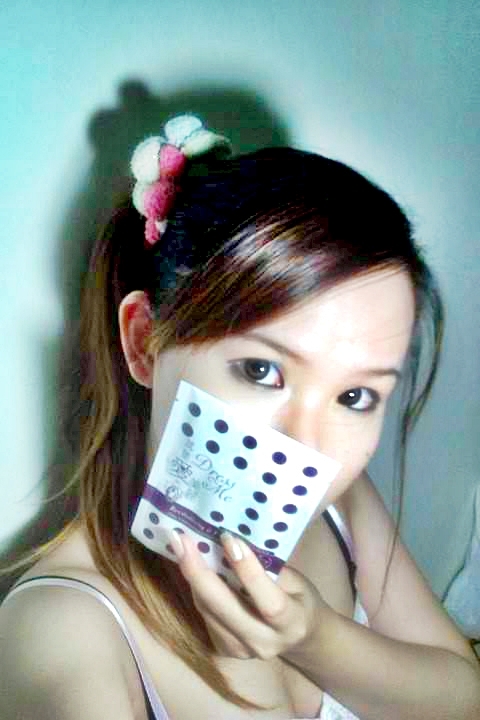 After using it, my complexion becomes smoother and brighten! No more dull looking complexion for me! :) Indeed, Dress Me really did a wonderful job for choosing this for me! Haha! 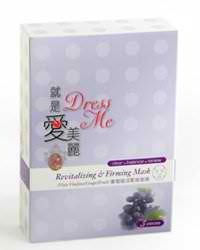 Dress Me Revitalizing & Firming Mask moisturizes, repairs and firms skin while restoring skin’s natural renewal process. An anti-oxidant mask that protects skin and reduces the appearance of wrinkles. The green tea extract has anti-oxidant properties that remove toxins from skin while reducing redness or inflammation to clear up skin problems. The extract helps to promote the health and formation of collagen that maintains firm and supple skin. Polyphenols found in green tea has cell-protecting function that controls cell damage when exposed to radiation. Squalane helps in skin renewal and is easily penetrates into skin. It helps prevent formation of age spots, has antibacterial properties, helps skin to retain moisture thus reduces the appearance of wrinkles. Vitis Vinifera (Grape) Fruit Extract is rich in anti-oxidants, 20 times more potent than Vitamin C and 50 times more potent than vitamin E. It helps minimize sun damage and helps firming of the skin. 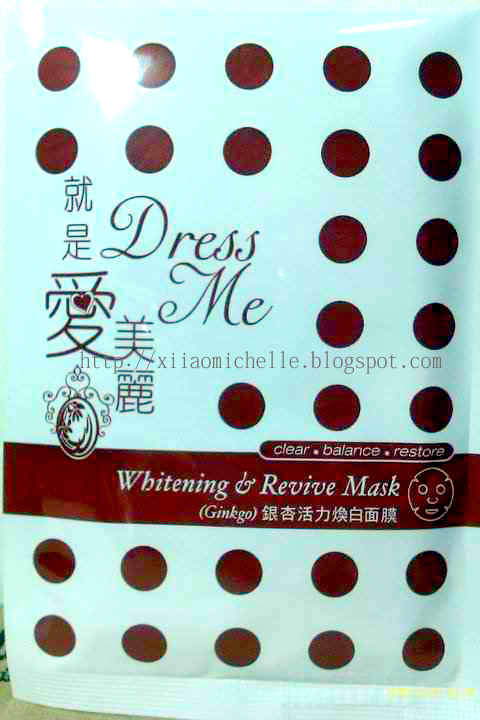 Dress Me Whitening & Revive Mask for pigmentation-free and fairer skin with Ginkgo Biloba that increases blood circulation and collagen-boost to slow down skin aging process and protects skin from free radicals. A mask with anti- inflammatory, anti-allergenic, anti-bacterial and anti-oxidant properties that whitens the skin and also reduces redness and skin sensitivity. Morus Nigra Fruit Extract lightens pigmentation while whitens the skin and helps to slow down aging process, keeping skin supple. It contains flavonoids, aminos and minor elements Cu, Zn and Fe that have anti-oxidant properties. Azelaic Acid is a component of grains, such as wheat, rye and barley. It reduces the formation of pigmentation and is an anti-bacterial that inhibits the development of bacteria in pores. It reduces formation of comedones (blackheads and whiteheads) and also assists in skin lightening. Ginkgo Biloba Extract helps to increase blood circulation, boosts collagen formation and activating cell metabolism, which slows down the aging process. It has anti-inflammatory, anti-allergenic and anti-oxidant properties that protect the skin. The extract also helps in skin whitening. Glycyrrhizinate Glabra (Licorice) Leaf Extract is an anti-inflammatory agent that reduces skin redness and has anti-allergic properties that reduces skin sensitiveness while relaxes the skin. Tranexamic Acid counteracts melanin production, removing pigmentation and brightening the skin. Can you see the amount of essence it is inside the pouch? *Till date I had only managed to try 2 out of the 3 products given. I would update the remaining product after I try alright? So stay tune to this entry if you are interested in the last product! Oh! Dress up just emailed me and told me that there is a special event/promotion going on for you readers and beauty gurus!! All you need to do is to post reviews of their face mask and 3 lucky winners with the best reviews will be selected weekly for the month of December! (Which means you gonna act fast now! 3 weeks left!!!) Oh! 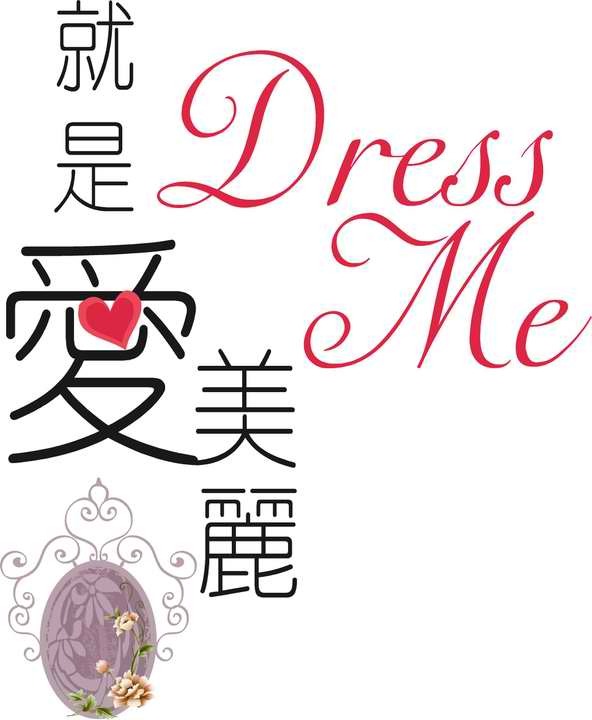 Each Winner will get 1 box of Dress Me Mask! Buy any 5 pieces of Dress Me mask and get 1 Dress Me Moisturizing n Refreshing Mask free! Buy any 35 pieces of Dress Me mask and enjoy free delivery + 1 Dress Me Moisturizing n Refreshing Mask free! Purchase 2 pieces of Dress Me Mask and enjoy 20% off!! 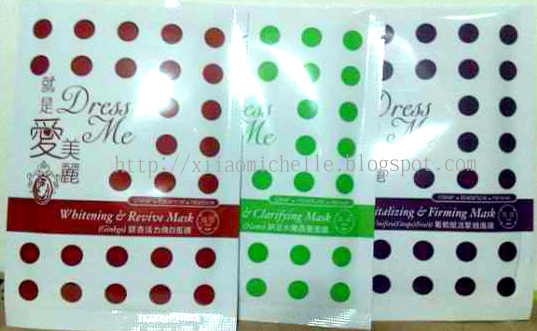 Purchase 1 box (5 pieces) of Dress Me mask and enjoy 50% off! !